The concept was simple enough. 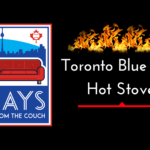 On Tuesday, Jays From the Couch sent out a simple request: send us your Blue Jays holiday wishes. Regardless of how well-behaved the fans of our beloved Blue Jays have been this season, we thought we’d ask – a bit of crowd sourcing into how many hope the Blue Jays offseason will go, even if we opened up one Gift early. We're collecting your Blue Jays Holiday wishes. Submit your responses by replying to this tweet. We're looking for anything your heart desires, big or small, from player wishes, trades, events at SkyDome this summer, etc. If you've been good this year, it may even come true! We received a few good ones, a few crazy ones, and some which didn’t make much sense at all to us. But here they are. Don’t we all want a return of Jose Bautista in his prime? Unfortunately, even if Bautista does return to his high-OBP, high-powered days (he still hit 23 dongers last year despite a -1.7 bWAR), it won’t be with the Blue Jays. Well, unless the front office fails at fortifying the outfield until Anthony Alford and Teoscar Hernandez are ready. Prepare to watch Bautista hit a couple HR this year for a team you don’t support. Honestly, my only baseball-related wish is for fans to stop attacking me personally for just wanting to enjoy the game of baseball, and NOT be immersed in whatever new stats are going to be established. Twitter is not a friendly place for those who don’t follow advanced metrics. Or a friendly place…at all. Metrics aren’t everything, they don’t play the game for us, and shouldn’t be taken as absolute gospel. They’re a tool for efficiency in an extremely competitive industry, and like it or not – they’re here to stay. Get the net. That being said, stop being a jerk on twitter becuase people don’t like the same things as you. It helps nothing. Okay, I lied. I have two baseball wishes. My second one is for reporters to stop stirring up rumours for no good reason, and just report events as they happen. Sure, but that’s kind of their job in the offseason. Speculation is fine, but all-out trolling needy fan bases for clicks doesn’t help anything. In order to keep their jobs in their own extremely competitive facet of the baseball world, they need to generate page views. Some do this in a more proper way than others. Rename the Rogers Centre to the Rogers Skydome. I’m down. Tear down that stupid statue and put one up of Doc while you’re at it, too. In regards to naming, though – if Rogers is truly serious about selling the team, the naming rights should be the first item up for bid. Grab a couple hundred million for that, and hopefully whoever wins those rights resurrects the SkyDome name. Sure, I’m down with that. That would be fun, I think – but I’d rather run into a player Colby Rasmus street-meat style. If Antoinette being bad this year leads to the Blue Jays not landing Lorenzo Cain, I will be very disappointed. But as far as poorly-behaved baseball teams are concerned, at least the Blue Jays rank higher than Atlanta and Boston Red Sox. Back to Antoinette’s wishes, though – 2018 is a huge year for Devon Travis, and Blue Jays fans would want nothing more for him to come back fully healthy and pepper the Rogers Centre walls with doubles all season. #3) Tickets for a Jays weekend game in Anaheim (where Danny Jansen will make his MLB debut) ? I was sad to see Daniel Norris go myself, but the just doesn’t have to stuff to ever be that effective in the American League East. Wishing him the best in Detroit. If Danny Jansen makes his ML debut in Anaheim this season, Jays fans should start a crowdfunding campaign to get Kate tickets for the game based on that prediction alone. Let’s wait until Christmas in July for this one. I wish Tulo and Travis had bones made of adamantium rather than glass. Sure. But everyone’s ankle gets mangled on that horrific play at first base late last season. As an aside, MLB really needs to make those bases safer. Let’s also tack on extra health for Aaron Sanchez’s finger here. And Devon Travis’ knees. And Josh Donaldson’s hamstring. And hey, my right shoulder. I wish that the #Jays and #Expos could finally establish a rivalry by having #MLB expand and place both in same division. Sounds good to me, but expansion (relocation is a longshot) might put teams in other markets before Montreal, including Las Vegas, Mexico City, Portland and Raleigh first. Not that I wouldn’t stump for a club back in the City of Saints. Up until last year’s dud of a season for both teams, the Baltimore-Toronto rivalry was bubbling up pretty good, but these things tend to come and go. Jays and Expos didn’t have much time to develop a rivalry after the introduction of Interleague Play and eventual movement of the Expos to Washington, and that’s a shame. There’s some recurring wishes here, mostly in regard to a World Series win (unlikely) and health restored upon Devon Travis. While the latter is well-intentioned, we have to be prepared for a season without. As for the second wish here, perhaps we can acquire some stem cells and magic spells this offseason to meld a clone of mixed genes from Raffy Lopez and Luke Maile. Hopefully it won’t end up like it did that one time on The Simpsons, though. I’m not sure what major signing would be needed though, aside from Lorenzo Cain. There’s just not a fit out there on this free agent market with the needs of this team, without moving assets from the major-league roster. Still, something like a signing of Neil Walker, a bullpen arm and an outfield flyer would be fantastic. Three wishes. 1. Give Josh Donaldson a contract extension 2, trade for Chris Archer 3 have a fan photo day ????? That cost would be crazy, especially in-division, unless the Jays could pull a three-way. This is a great idea. 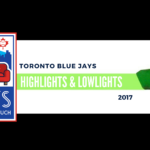 The Blue Jays could benefit from better promotions, and hey…throw in a Pride Day while you’re at it. Josh Donaldson switching his walk up music back to Phil Collins. I mean, come on. @Cerdis9 is saying what we’re all thinking.